A very quiet time @ the beach, only a few people, with beach fairly clean. 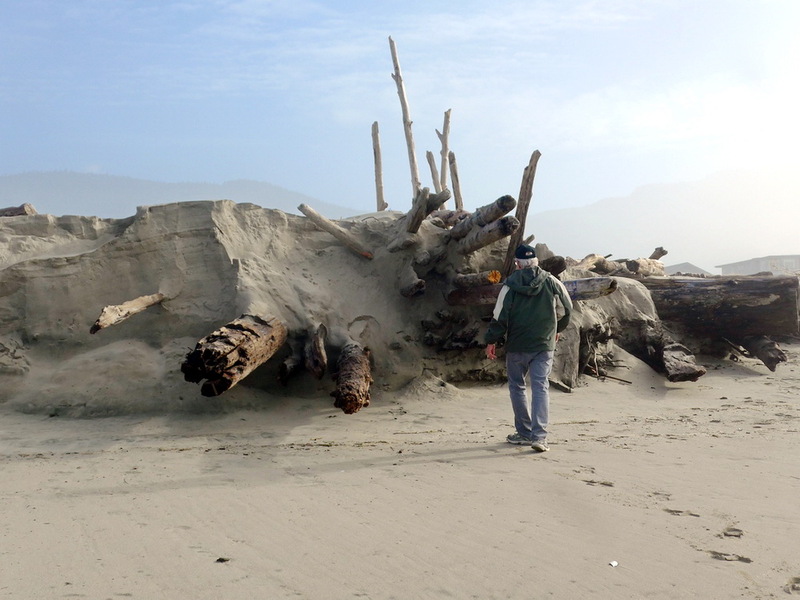 Sand has shifted, some drift wood is covered,although much remains. Have found some plastic bottles from Japan in the past, but this visit just noticed styrofoam. 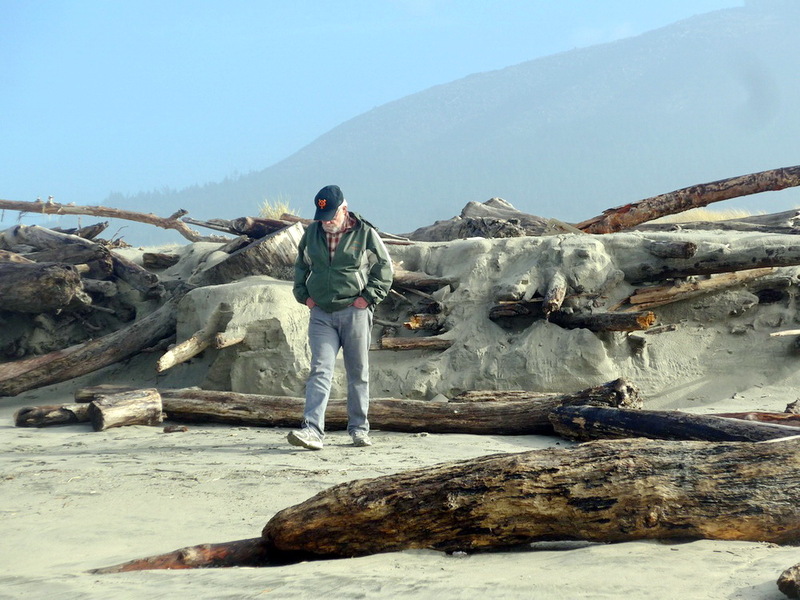 Pleasant day at beach, comfortable winter weather, hardly any wind, with visible sand erosion, and loss of beach. King tides reaching far up beach. Pretty typical summer beach. Most notable feature is fact that there is substantially more driftwood on beach than in recent past ... result of last winter's storms. The beach continues to have large logs/driftwood on it, making walking to shoreline difficult. 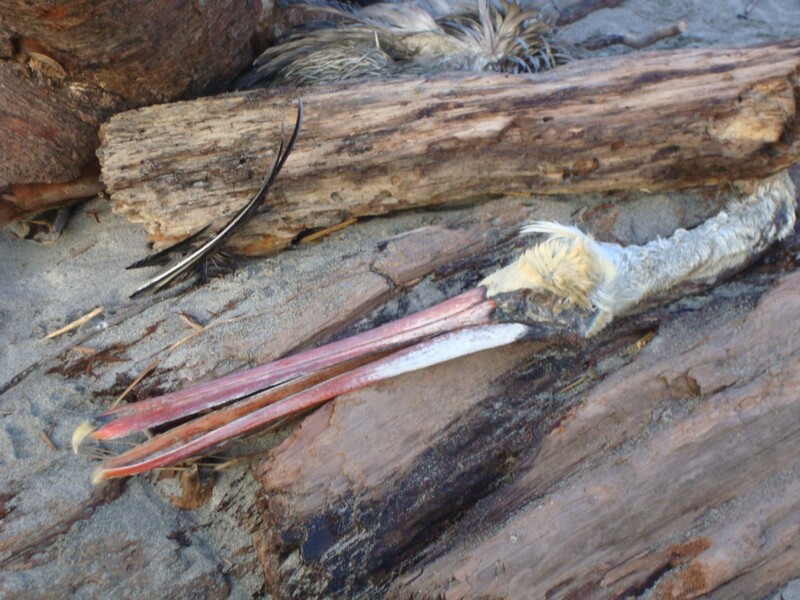 Dead pelican noted among the driftwood. Some movement in driftwood. Two large pieces of a dock on shore as 'driftwood' from someplace else. After rainy morning (with hail), afternoon was mostly sunny and warm. Beautiful weather. Lots of folks arriving for Thanksgiving weekend. About 1/2 dozen dead birds sighted in the sand. They aren't sea gulls but not sure what species. Quiet - saw bald eagle and also osprey flying over ocean. Very few seagulls - beach appears to be returning after sand loss this winter.